At AirSwap, we believe that accomplishments are fully actualized by reflecting on how they were achieved. As we approach the end of 2018, it is fitting to take a moment to review AirSwap’s developments over the last year, and to consider the foundation we have established for the future. After the explosive growth of blockchain technology in 2017, the industry experienced a natural cooling period in 2018. Prices and trading volume dropped, teams were cut back, and countless projects either failed to deliver or folded altogether. AirSwap has bucked this trend and grown over the last year, bringing various products to market while expanding our team. We continue to both innovate and adapt to the market, systematically hitting every ambitious milestone we set out to achieve. Our core mission is to build the best decentralized trading system possible; one that empowers people through global, frictionless trade. While staying true to this ethos, AirSwap introduced Token Trader, Partner Network, Token Marketplace, and AirSwap Spaces to the world, as well as hosted the Fluidity Summit in May and grew our team significantly. AirSwap developed to service the demands of a truly peer-to-peer decentralized trading network; a framework that enables peer discovery without an order book, without order matching, and without trading fees. On February 1st, AirSwap launched a key component for that vision with the Token Trader, which served as the foundation for all decentralized trading environments we have rolled out over the past year. As the realization of what we set out to do in the Swap Protocol white paper, this milestone demonstrated that a decentralized peer-to-peer trading network is possible. Token Trader was a crucial first iteration that paved the way for our second major milestone in February: announcing our Partner Network. Trading is, by nature, an act of collaboration; a recognition that two parties will mutually benefit from trading what they have in return for something that the other party has to offer. In late February, AirSwap secured partnerships with three professional liquidity partners. On the macro-level, AirSwap embodies the ethos of collaboration by constantly seeking and prioritizing key opportunities, making connections, and enabling trade for anyone, anywhere, at any time. It was, therefore, both in line with our company’s development as well as our philosophy to make these worldwide partnerships, which brought twenty-four new tokens to the network. April saw the next evolution of our trading environment. After months of building solid foundations, all of the pieces began to align and allowed us to offer a holistic product of our vision: a truly decentralized and frictionless trading experience. As the culmination of fine-tuning the Swap Protocol and launching the AirSwap Token and Token Trader, what came to fruition in April was a peer-to-peer trading network that allows buyers and sellers, people and programs, to connect and trade in an environment free from the issues that have plagued centralized models of trading. Available in any language, on any device, AirSwap fulfilled its promise of a scalable, mobile, and secure trading network. Continuing at a breakneck pace, we launched a further innovation in April: the AirSwap Widget, a simple integration of our no-fee trading environment that allows you to bring AirSwap everywhere. 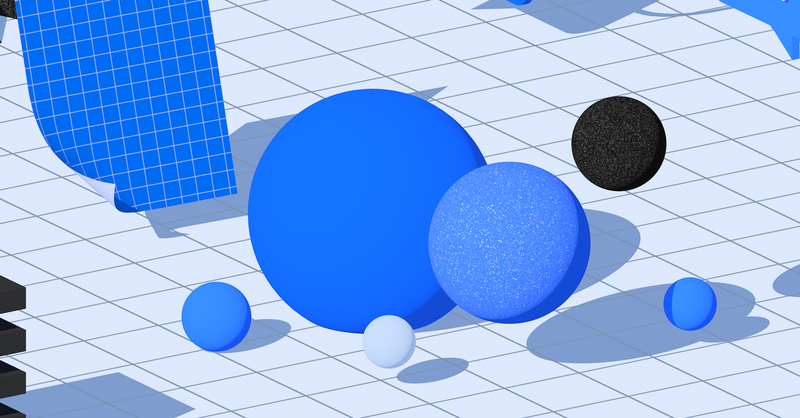 At AirSwap, we believe that the best products can be improved and scaled; and that’s precisely what the Widget is: an addition to our offering that furthers our ideal of frictionless trading. Embedded in any browser, desktop, and mobile, the Widget offers a three-click trade flow and is compatible with all major wallets. At the core of the philosophy behind decentralization is the prioritization of the network over a singular focal point, community over an individual. To extend the reach of our mission to our community, we took a big step towards this ideal by rolling out our Developer Toolkit in May. The Toolkit enables traders with minimal programming experience to build on AirSwap, offering the necessary set of tools for individuals to develop robust applications over AirSwap’s core architecture. In the past few months, our community of developers from around the world have built a wide range of experiences including volume trackers, custom trading interfaces, and desktop applications — all using the AirSwap API. In August, we set in motion the first stage of a much larger venture by launching Conversational OTC Trading: a proof of a concept first unveiled at our quarterly #AirSwapNext event. This milestone was critical for streamlining the process and opening the door for what later came to be AirSwap Spaces. With the introduction of Spaces in October, a new era of liquidity has dawned. In a variety of ways, Spaces enables projects and platforms to generate their own customizable trading environment on AirSwap. Creators are able to set clear parameters and on-boarding requirements in order to leverage the Swap protocol in a “walled garden” where assets are traded and liquidity can emerge. 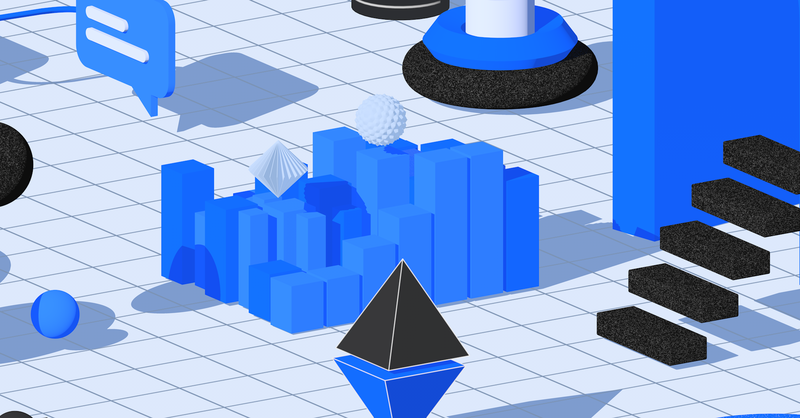 Because of its unique design and approach, Spaces enables not only utility token trading but opens the door to an entirely new asset class — digital securities. On November 1st, we completed a test making the first ever on-chain trade of a security token on a decentralized network. Moving forward from this historic moment, we are confident that Spaces will further evolve and continue to be the go-to place for security token trading. Sometimes numbers speak louder than words. Stepping back to look at AirSwap’s year in numbers, a picture emerges not only of insight and innovation but of dedication and consistent work to push our products and vision forward. At every step of the way, we have rolled up our sleeves to dive into the real work that adds value both to our users and to the decentralized ecosystem as a whole. Over the last year, AirSwap focused not simply on rolling out new features but on constantly reconstructing and improving features that serve as scaffolding for future iterations. 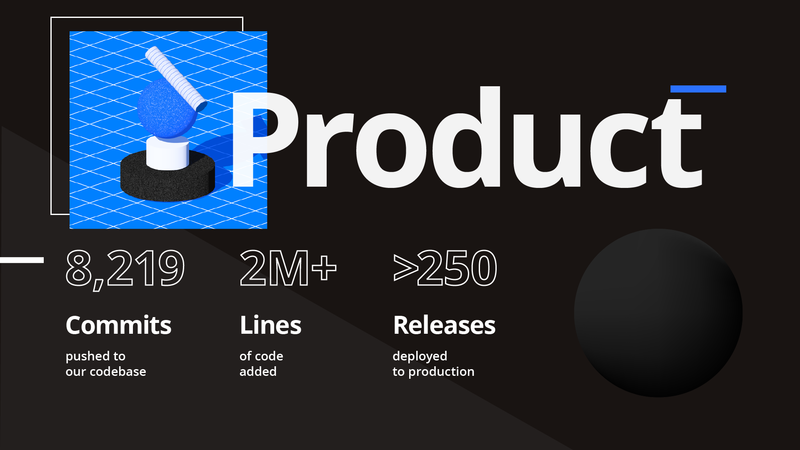 Our engineering team committed code 8,219 times and deployed production-ready code in more than 250 different instances. Analyzed from a numeric standpoint, the AirSwap team has deployed new production-ready features every working day of 2018. In 2017, we were a team of eight. 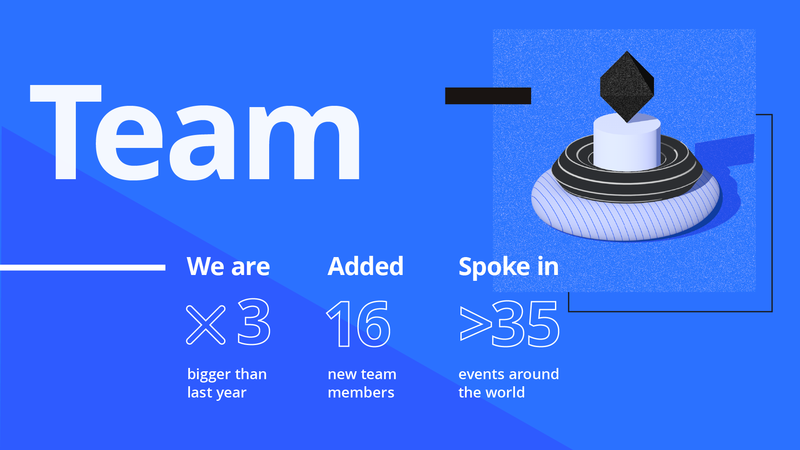 As we close out 2018, our team has tripled its size to twenty-four members and is still actively hiring. Beyond expanding our team, it is imperative to share our growing knowledge and expertise with the ever-evolving ecosystem at large. That is why we hosted the Fluidity Summit in May and have presented at more than thirty-five conferences over the past year, leading discussion ranging from how to keep Geth nodes in sync, at scale to discussing where digital securities ought to trade. Looking back over 2018, we are excited to see not only the series of milestones we have reached, but a scaffolding of achievements that build off of each other and move constantly and consistently towards an ever-evolving decentralized trading framework that embodies the values underlying our mission. While much of the industry experienced serious setbacks in 2018, AirSwap is proud to have continuously grown as a company and a team. It is important to remember that while blockchain technology is an exciting move in human development that offers a wide scope of potential, its proper integration will take time, patience, and hard work. At AirSwap, we are committed to the long-term development of a decentralized trading future and the steps we have made over 2018 pave the way for an exciting 2019. Thank you to Don Mosites, Michael Oved, Maggie Hsu, Jay Kurahashi-Sofue, Khurram Dara, and Richard Slenker for providing their input.